The call centre metrics you measure your outbound team against are like the lights on the runway guiding the big jumbo jet to a safe landing. Or, to be more accurate (metaphorically, that is), to guide the big jumbo jet to a perfect take off, where it will reach the heights it needs to. You know where you need to go (I’m sure you’re reminded of your targets fairly often), but you need the call centre metrics to track against, to make sure you get there. Yeah… I said metrics. A few times. Did your heart just sink a little bit, or have you hightailed it to the warm embrace of your local cafe, where no one speaks of such atrocities? Well, when you return, caffeined up and ready to face the numbers, I think I can help in some small way. It doesn’t have to be a total grind – it really doesn’t. It’s about understanding your business, and what delivers results. Then making sure your tracking against these things. The best way to approach call centre metrics is to keep it simple. Think about the measures most likely to make things go awfully wrong when they aren’t on point, and start by tracking against those things. The last thing you want is to be drowning in numbers, reporting and data extraction every month. If reporting isn’t in your skillset, you might want to look into a system that allows you to run simple reports you need, quickly and on the fly. This KPI measures the number of times your dialler attempts to contact a prospect in any campaign. This is a very important KPI in a sales business as it helps you understand the sales cycle for each campaign. Not every call is going to result in a sale, obviously. In fact, the sales process to close a sale on an outbound call can be pretty lengthy: Source. It’s important to measure how many times each contact is attempted before they’re classified as a cold lead or a sale. Use this information to optimise your campaigns, to ensure performance is where it needs to be, and allocate the right number of leads to a campaign to maximise your chance of success. This one is kind of a no brainer. Your dialler should be pushing through calls as quickly as possible so your team’s time is maximised. You need to track how many calls your agents are actually making, to understand what is normal for each campaign. If one agent isn’t making as many calls as others, it might be that their calls are a bit longer (not necessarily a bad thing, if it’s resulting in a sale), or that they need a bit of motivation. Your list is your gold dust. 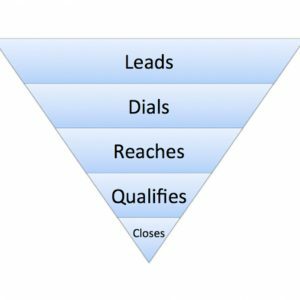 These are the names that lead to sales (ideally), so you want to understand the quality of these leads. Your List Penetration Rate is simply the number of prospects that turn into a sale as a proportion of the total number of leads in a campaign. If your penetration rate is low, you may benefit from a lead cleanser to make sure you’re not dialling disconnected numbers, or worse, those on the Do Not Call Register (expensive if you are caught out on this one). You might also need to look at your offer, make sure it’s something that is solving your customer’s problems and answering an actual need. Training your staff on handling objections to try to turn them around can also help improve conversion. Tracking your Abandoned Call Ratio will help you manage your call forecasting. Call forecasting is a mystical practice that hangs in the most delicate of balances. If you throw too many calls at your agents you have customers waiting on hold once they connect (nope), too few calls and your team is simply not productive (nope nope). To make it a bit more of a challenge for a manager, this can change by hour, by day, by campaign. So you certainly need the ability to flex up and down your calls as required, and to do this you need to understand how many calls are being made. This is THE most important metric in an Outbound Call Centre. Sometimes call centre managers are caught up in call quantities and duration that they forget that the whole point of these calls is to convert. If your Conversion Rate is low, your cost per lead is high, = not good, as this will ultimately impact your team’s revenue. If you’re Conversion Rate isn’t where it needs to be (based on a benchmark you have figured out from all the wonderful data your reporting gives you), try monitoring your agents in real-time, offering prompts to help them close the sale. Share your successes as a team so all your agents can see how others are making sales, and motivate them to achieve the same. If you need help with motivation, there are many ways to approach this. Call centre metrics are so important, but can be pretty confusing, right? There are many ways to slice and dice the data to see how you’re performing. 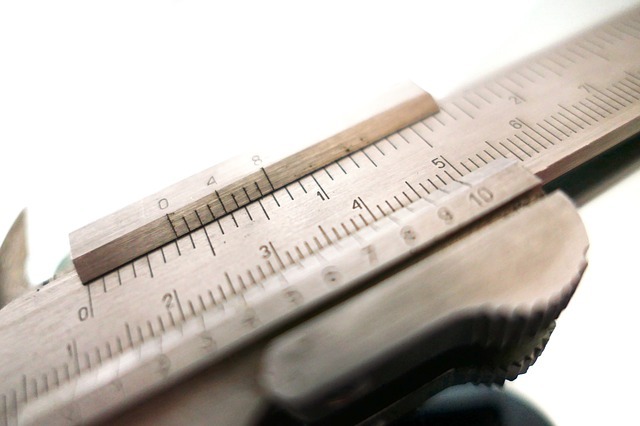 You need to understand your business, and what drives results, before you can set KPIs. Each business, and campaign, can be different, but the 4 metrics above are a pretty good place to start to measure staff productivity, dialer effectiveness and ultimately delivery on targets.